Surprisingly there are still dishes on the menu that we haven't tried but we're doing out best. 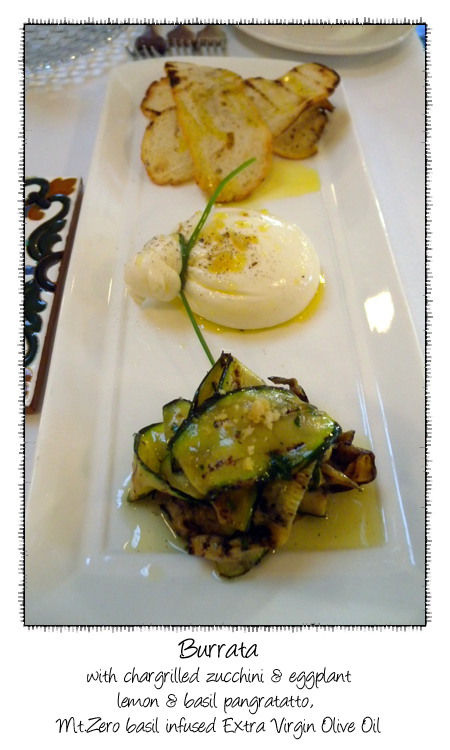 This was on the Specials menu and we can never go past Burrata. Instead of the more usual tomato accompaniment, it is served with a melange of grilled slices of zucchini and eggplant and it turns out to be quite a good match. 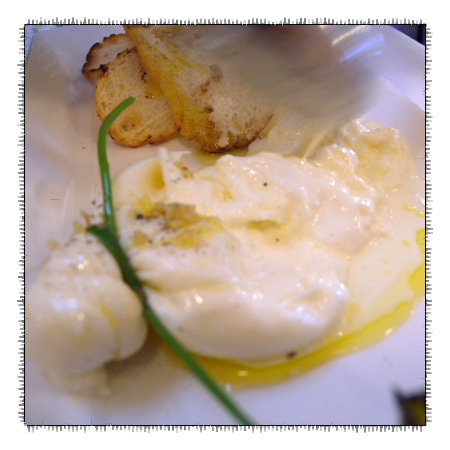 The smokiness from the charring works well with the creaminess of the burrata. 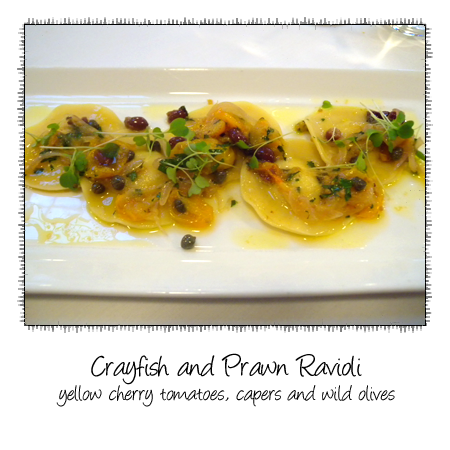 This pasta also came from the specials menu - it's a delicately flavoured dish but a judicious use of capers and olives keeps the dish in balance. The Abbacchio is a dish that used to be on the menu last year but has been changed under the new chef. 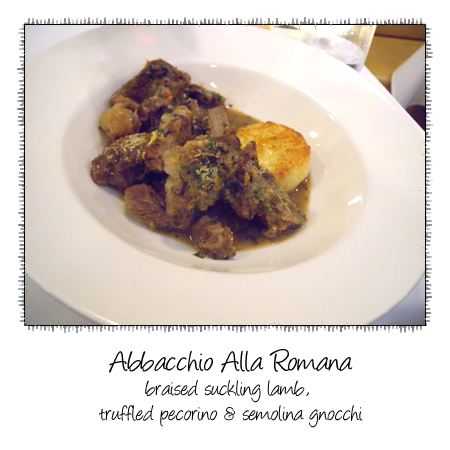 The flavours are quite good, the lamb tender, instead of polenta, it is served with a semolina gnoccho - it probably needs another one or two gnocchi to balance it out. 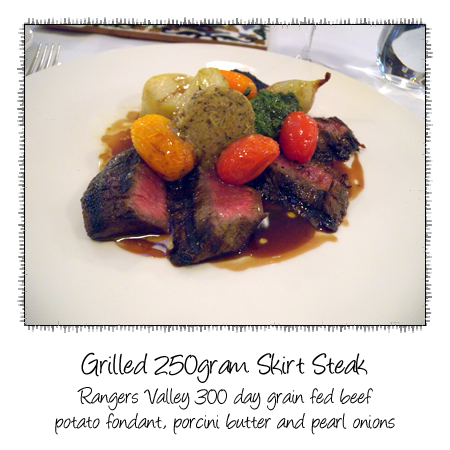 Another dish from the specials - I love Skirt steak it's a fantastic cut of meat and could well be one of my favourite cuts. 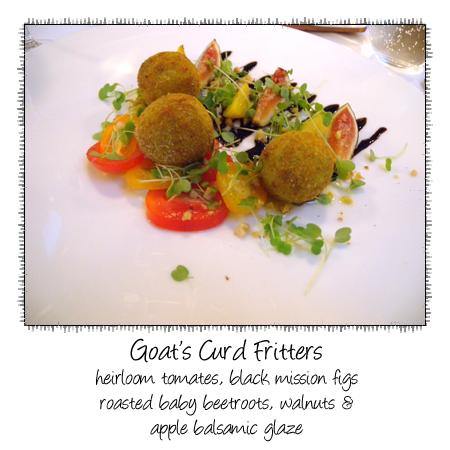 It has great texture and great flavour and this dish lives up to my expectations.